All trips last two hours. In two hours you will visit two to three bars. The prices below include use of the bike, guide and sound system. 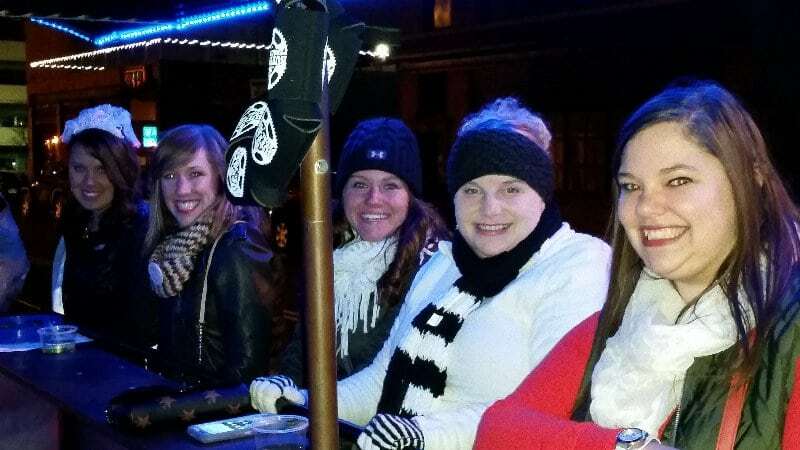 Popular downtown bars - The places our guests frequently ask us to visit due to great service, super drinks and enchanting environment include, Pearl Street Grill, Lafayette Tap House, Detour Martini Bar, Deep South Taco, and Big Ditch Brewing Co.
Take your friends or family out for a fun time on our 15 person party bike! Experience Buffalo as you never have before on our pedal powered trolley. 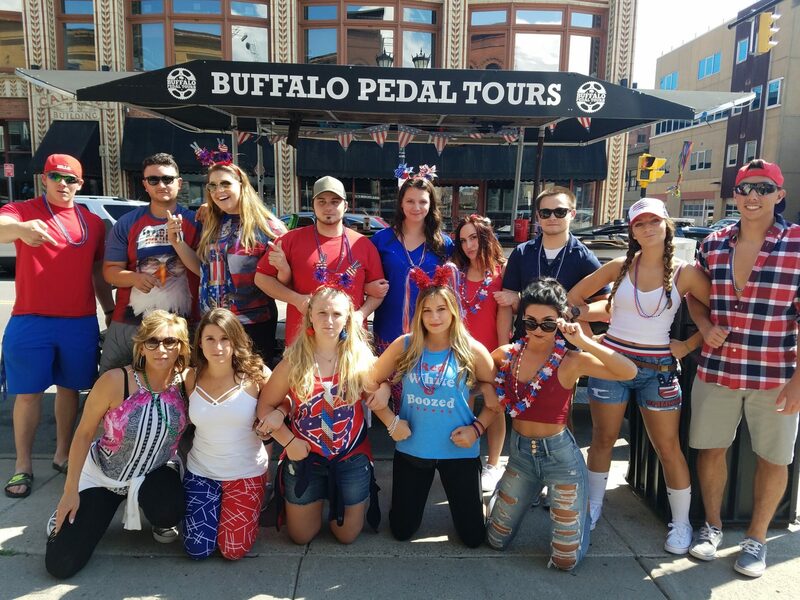 Buffalo Pedal Tour’s Downtown Pub Crawl makes it easy to check out the best bars in town all in one tour. You and your private party of family or friends (13 or 15 total) will have the crawler to yourself with one of our top notch guides. With so much development going on downtown it is a great way to try all the new places opening up as well as visit all of our awesome bars and restaurants. With so many different options you get the opportunity to make it 100% yours. Enjoy Your Private Pub Crawl – Your Way! On the bike you are able to bring all your own food, snacks, appetizers and candy. You CAN also bring your own beer (two 12oz CANS, no glass or hard liquor, NO jello shots) Play your own music from your phone to our speakers, decorate the bike for the occasion and let us be your tour guide and DD. As you cruise thru the streets,singing and laughing you are going to tell your friends how much fun you had and get a group together on your own. We love showing everyone around the city and love when people get off and tell us how much fun they had. We are a referral based business so ask someone you know who has done a tour, we are confident you will want to book with us after talking to them. Reserve a Downtown Pub Crawl for a new and exciting corporate event, a special celebration, a reunion of friends or family or any other occasion. Don’t forget with multiple bikes we can accommodate groups of up to 86! Visit our Pub Crawler FAQ page for more info on what to expect and how to prepare!